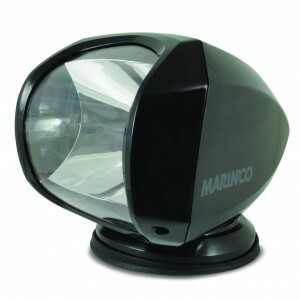 Marinco’s innovative, new Precision Wireless Controlled Light addresses the most common issues found in marine-grade spotlights. 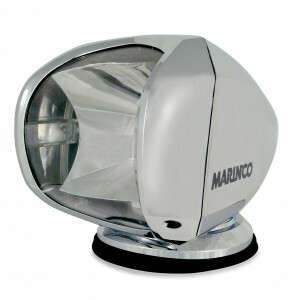 In doing so it has become the most versatile, durable, consistent and easy-to-use spotlight on the market. Its unique, totally enclosed housing design protects all critical components from moisture, salt, shock and vibration for long-lasting operation. Whether mounted upright or suspended upside down, you get 370° sweep rotation and 120° tilt (75° up, 45° down) in a durable IP56 weatherproof housing. 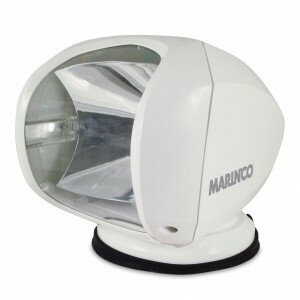 Inside, a brilliant 100 Watt H3 Halogen lamp with an optimized parabolic reflector pierces the ultra-clear lens to provide a consistent light pattern.